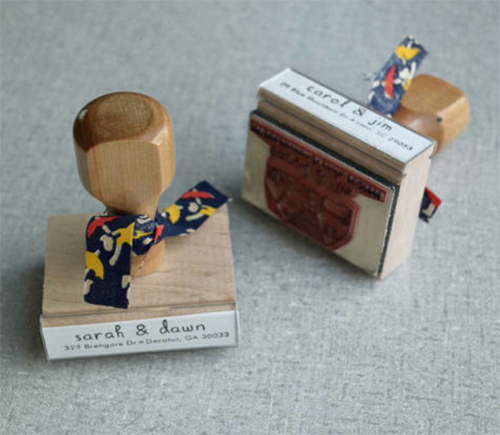 The idea came from Sarah's mom and Sarah quickly realized its incredible creative potential. The way it works is you take a photo of the exterior of your home and email it to Sarah. She creates a miniature version of it in her own signature style. 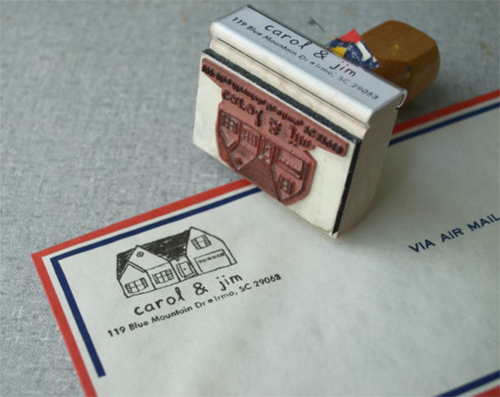 Sarah asks that you then allow one week for a proof and then 1-2 more weeks for production of the stamp before shipping.